Just half an hour’s drive from Hamburg, easily accessible by train or car via the A 250, you will find Lüneburg, a Hanseatic City dating back from mediaeval times. It was Lüneburg that gave its name to the heath nearby. In the Middle Ages it was one of the richest towns in the north of Germany: its salt mines made it a busy centre of trade, wealth and power. 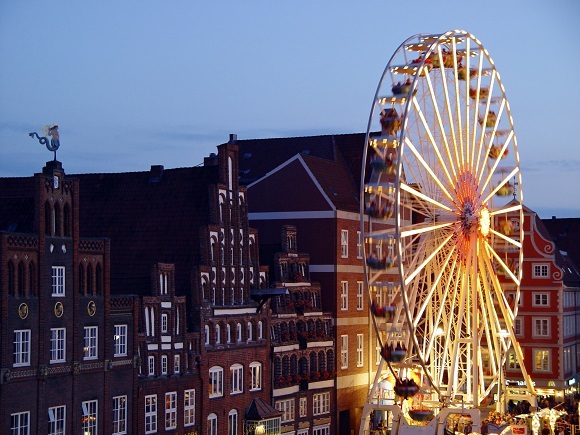 Today day-trippers are fascinated by the magnificent patrician houses with their brick gables or the mediaeval town hall on the market square. 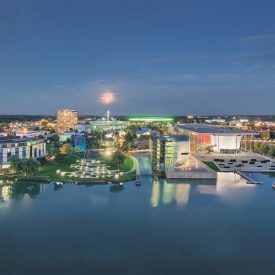 This university town offers visitors a lively cultural scene and the greatest number of bars and cafes per mile in Europe. You can still see the salt water bubbling up at “SaLü”, Lüneburg’s thermal baths. Behind the old awe-inspiring city walls you will find a young and lively atmosphere. Relaxed shopping in the low-traffic city centre and going out to restaurants and rustic pubs is a genuine pleasure here. Please be patient, while we initialize the content for you. You do not know the Lüneburg pub scene? 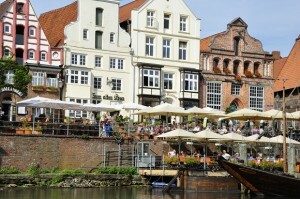 Then join us and learn how thirst has been quenched in our beautiful Hanseatic City for centuries. In the streets, in the squares and the historic port there are localities in which it happens very old fashioned, proper, well maintained, but also colorful and obliquely. Attractions are not the focus, but wan’t be omitted. Not only your sense of taste is addressed during this guided tour. 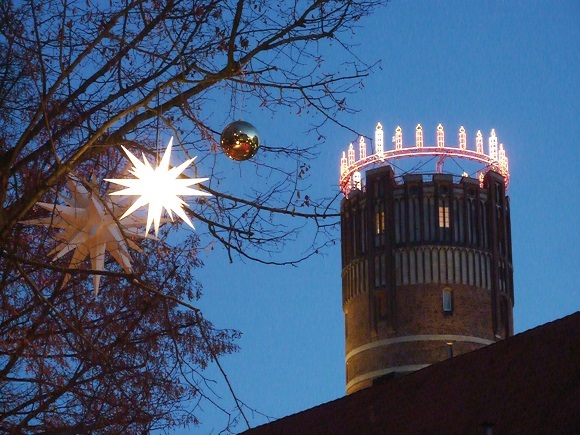 Wander through the medieval streets of the historic City Center and see, taste, smell, hear and feel Lüneburg with its more than 1,050 years of local history in all its facets – an incomparable experience, including tastings and small surprises! Price on request, depending on the number of persons. 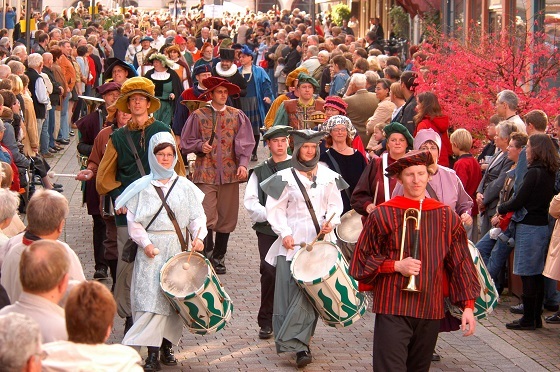 The Lüneburg City Festival is one of the largest events in the Region wihich attracts thaousands of visitors. The programme offers culture, culinary delights and of course a lot of music. Exciting neck-and neck-races during entertaining competitions, a magnificent Festival Parade with hundreds of participants in historic costumes and splendidly decorated Festival carts, and the ceremonial burning of the “Kopefass” as the final event of the whole medieval spectacle, are the traditional Features of the Sülfmeistertage.